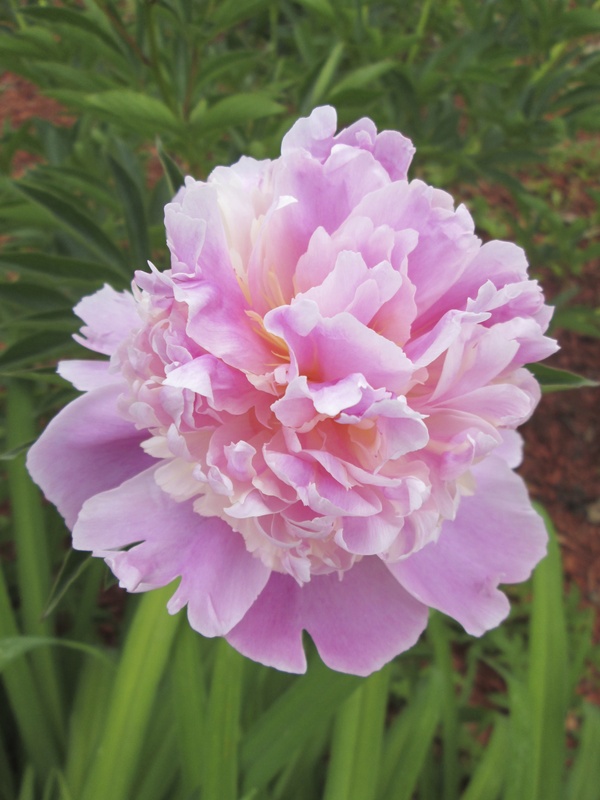 This beautiful Peony from my garden volunteered to collaborate in the creation of “Peony Venus Elixir Flower Essence”. 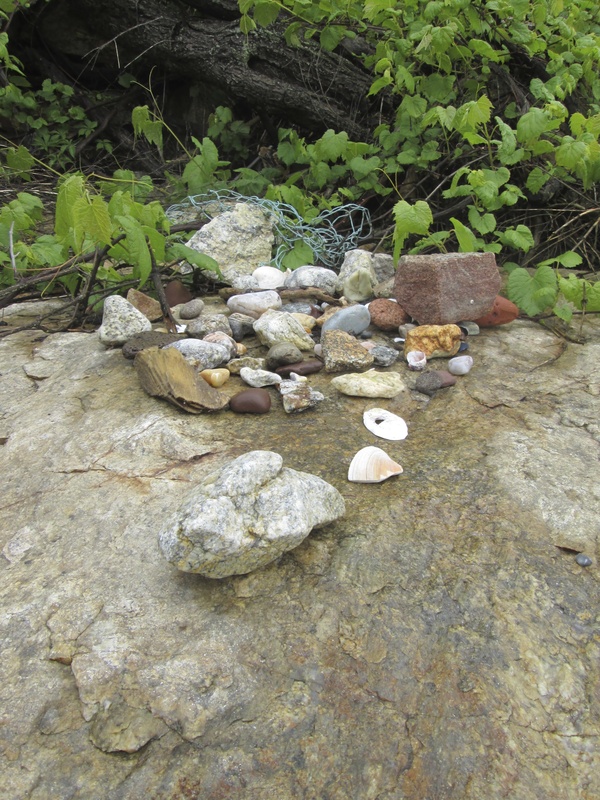 The Guides asked me to put my pink quartz Gnesh in the water with the flower, and they then sat in the Sun on a crystal platform. The energy of Divine Feminine Abundance is infused in this essence, along with the blessing of Gnesh, great Doer and Mover of Divine Masculine. 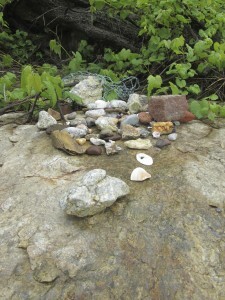 As we celebrate Solstice this June 21st, let us pause in the profound Balance Point being offered to us… and take in the gift of Peony, inviting an Inner Union of our Divine Feminine and Divine Masculine Self… that we may create abundantly from the Heart in our World, in wonderful ways that honor ourselves and others. 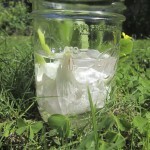 – Want to work directly with a bottle of “Peony Venus Elixir Flower Essence”? Contact Denine: $20 includes bottle and postage. The Wesak, Full Moon in Scorpio is Weds, May 14th, in the US. 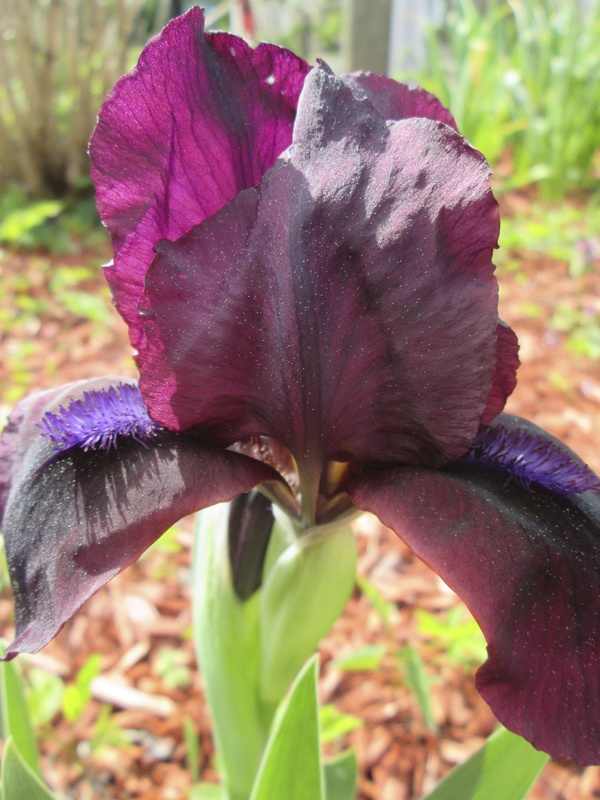 We are still integrating huge shifts from the April Eclipse season, and this Scorpio Full Moon comes with a water trine that will move us deeply. Wesak is also here ~ the season when Buddha and the Ascended Masters shower us with the Light of Enlightenment. The Maple flowers asked to offer their essence this year. Maple Tree is a strong, powerfully grounding and embracing force. 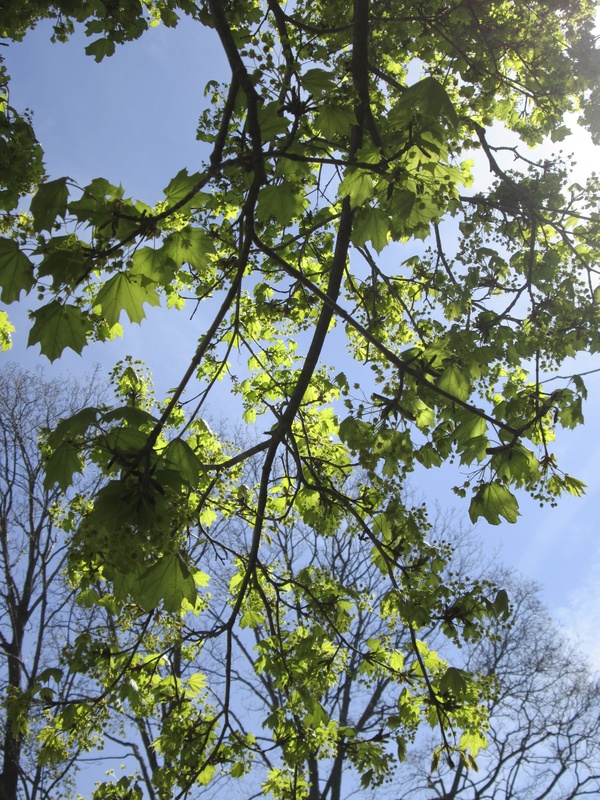 Spend a few minutes with Maple… feel the grounding influence and the open-hearted green energy. Then breathe deeply, and allow yourself to receive the Light of Wesak…. Wishing everyone a Blessed Wesak and Spring Season! 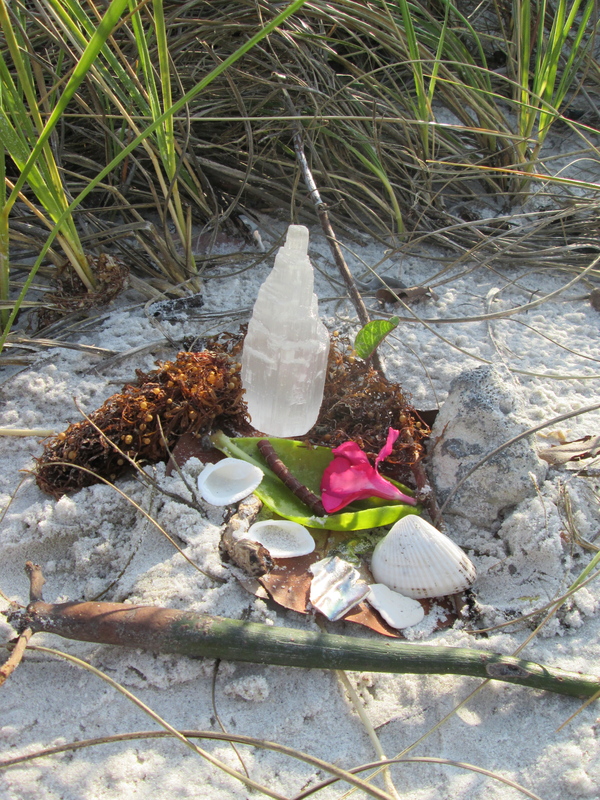 My dear friend Terry and I went to the ocean on the Gulf Coast in Naples, FL and made an Apachete* in honor of our Earth’s Waters. It was uploaded with great Love and Appreciation: from humans, from the birds, the flowers, the growing things, and All that which receives its substance and sustenance from Water. We then placed this Blessing into the waters of the Gulf ~ immediately a fleet of Sandpipers flew by and a Dolphin rushed in to us at the shore. The birds and the Dolphin took the energy with them… spreading it through and over the Water. Today, or whenever you read this, stop for a few moments to both give and receive the blessing of Love and Appreciation into the Waters of your body, and the Waters around you. We are all aware of the great challenges present today to the Waters of the Earth, and to the Waters of our physical bodies. Since all Water vibrates with our point of focus, it is vital to frequently bring our attention UP to the vibration of love and appreciation as we contemplate our Water…even (and especially!) if we are someone guided to act as a warrior in the world to create cleaner water and environment. -*Never heard of an Apachete? Click on the ‘Apachete’ button at the top of the homepage at www.EvolutionaryProcess.com to read about it, and see more pictures of Apachetes. – Want to read and see more about the research and phenomena of thought and emotion affecting Water? Read about Dr. Emoto’s work with water. – EP – Galactic Healing (for Everyone!) is in CT on April 12 & 13. $333 Contact Denine for more info or to register. Receive a set of Radial Plasma Symbols, which immediately upshift energy. 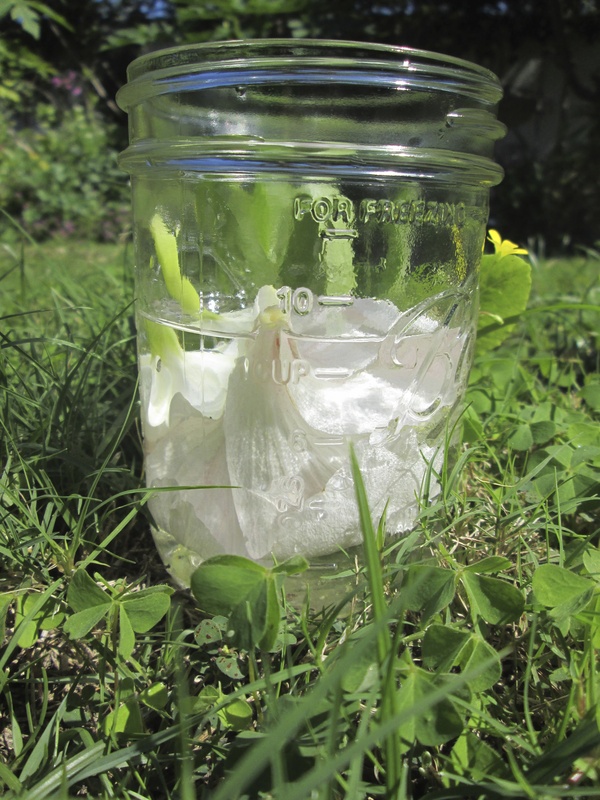 “Morlee’s White Magic Venus Elixir” was made in my friend Morlee’s backyard garden, on the Chinese New Year of 2014. 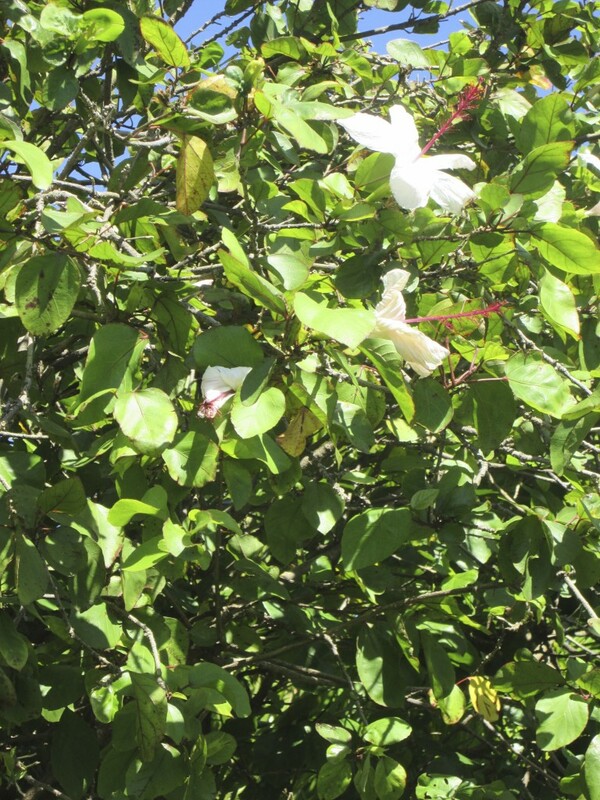 ‘White Magic’ was made with three types of white flowers, in the Maui sun, with a flurry of butterflies flitting around it. A white Selenite Tower further infused it with cosmic energy to open and grace your Crown Chakra, and it’s connection to the Pineal Gland. Native White Hibiscus is our first flower, coming in to soothe the limbic system of lingering fears from previous hurts. She is followed by White Tahitian Gardenia. 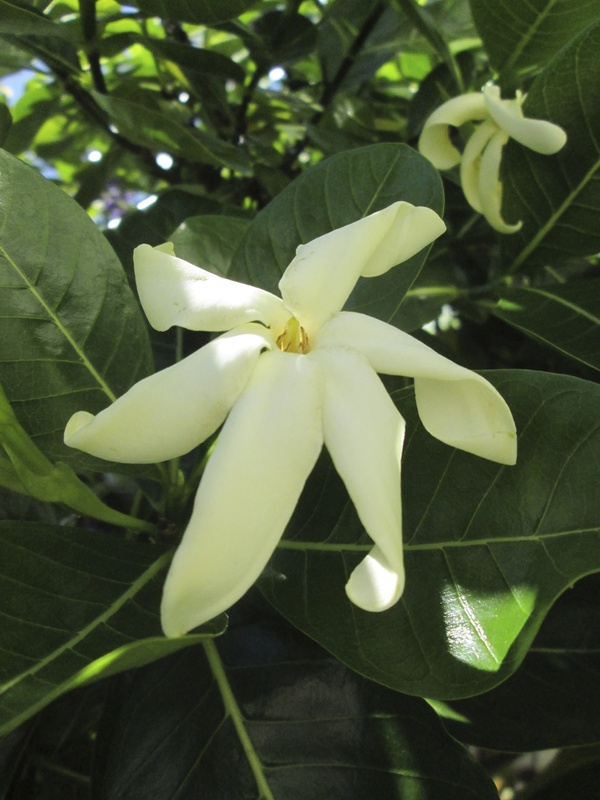 Tahitian Gardenia spins the energy through the crown and head, helping to hook up the bodily structures that transmit the energy to the heart. 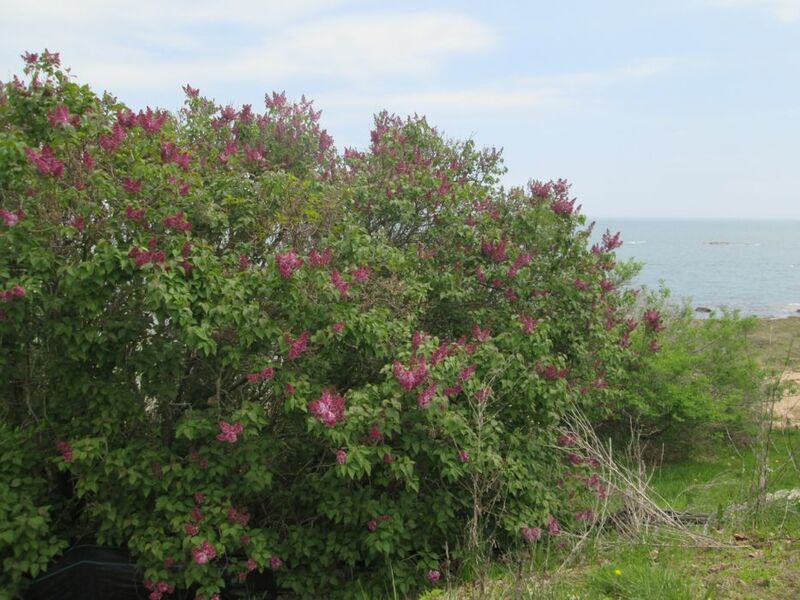 She does all this with an indescribable sweetness, suggestive of her fragrance. 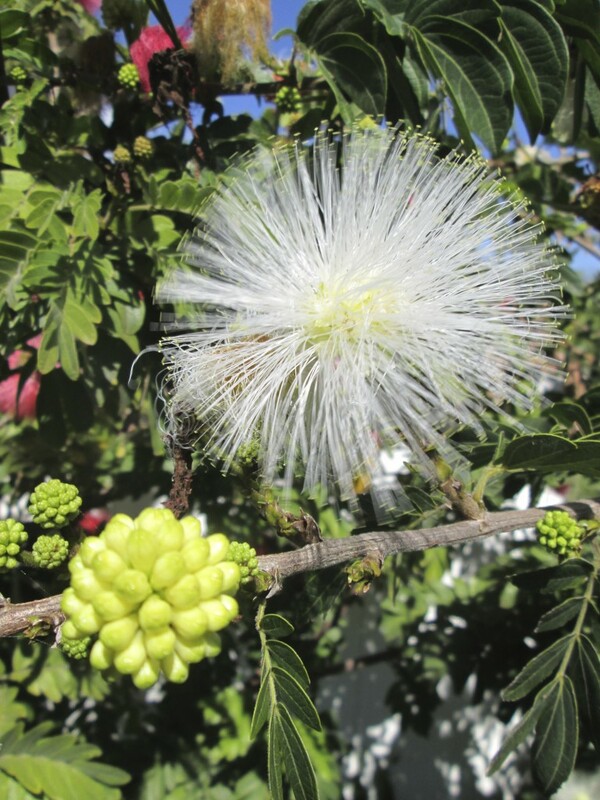 The third flower in our triad of whites is Calliandra. White Calliandra is the most gentle, light touch of an energy cleanser we could ever wish for, and its filaments of Light are a perfect medium to support you in opening the Crown to receive the infusion of Grace that is streaming to us in the huge vortex coming to Earth at this time. My Guides asked me to put this one out there Now… with so much energy pouring in, many people are having symptoms in head, neck and the upper back, as our bodily form and structures work to download, distribute and ground this energy. The collective field of Humanity is about to reach a new critical mass. This is requiring the release of beliefs that have restricted true abundance and receiving for so many. By/around the Spring Equinox on March 20th, we will have greatly improved access to creating and moving forward in our lives without these extremely dense patterns from the past holding us back. The critical mass we are achieving will allow this to be easier for All, since the collective template of Humanity will have gone to a new level. Spend some time meditating and gazing at these lovely white helpers, and ask to receive their gifts. Any clearing, healing and upgrading you do with all this between now and the Spring Equinox will not only stand you in very good stead, but will truly be an act of service to all humanity. Enjoy this next part of the Journey! – Learn some powerful new tools to use to raise your own vibration and work on yourself energetically: come to “Evolutionary Process ~ Galactic Healing” in Branford, CT on April 12 & 13, 2014; $333. Receive a set of the Radial Plasma Symbols. Enjoy an affirming and fun weekend in a small group setting. Read more about it at www.EvolutionaryProcess.com under the “Events” button.